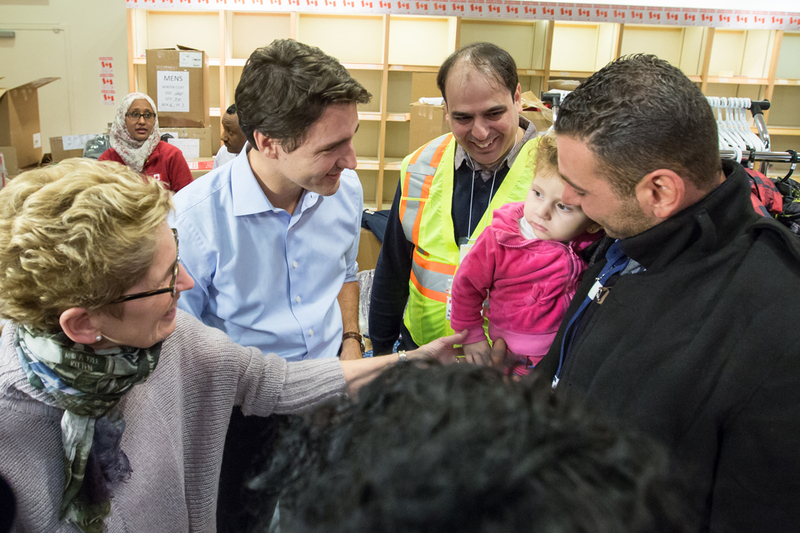 Last week marked the one-year anniversary of when the first group of Syrian Refugees arrived in Canada. December begins the so-called “Month 13”, when financial aid from the federal government stops for some government-sponsored refugees, leaving provincial governments to pick up the tab. Many refugees fear what lies ahead for their future in Canada. Overwhelming evidence suggests that Justin Trudeau’s interest in Syrian Refugees ended with the selfies at Pearson Airport when the first group of refugees arrived. There are a number of cases of Syrian Refugees failing to integrate successfully across the country – such things as failing to learn an official language or finding a job. Statistics show that only about 10 per cent of refugees found employment in their first year in Canada. This shouldn’t come as news to the federal government – refugees, provincial governments, and immigration services have told the government numerous times that there are a lack of resources available to the refugees in Canada. Moreover, privately sponsored refugees have found much better success in integrating into Canada yet some private sponsors are STILL waiting on the government to provide them with a family to sponsor. What started off as an election promise by the Trudeau Liberals has turned into a nightmare for Canadian taxpayers and the refugees. As True North’s Candice Malcolm said, “Trudeau has developed a penchant for putting international interests ahead of the best interests of Canadians”. Time and time again, this has proved to be true – particularly last week. Second, Justin Trudeau lifts the visa requirement for Mexican travelers. Why? We’re not exactly sure why. But we do know that this will cost the taxpayers $262 million over the next decade, in part to deal with the surge of asylum seekers. This was a figure estimated by the Canadian government because they are well-aware of the fact that anyone on Canadian soil can ask Canada for asylum. Did we mention that Mexico has a huge drug and crime problem? Did we also mention that prior to the visa being placed by the previous Conservative government, Mexico had one of the highest rate of bogus refugee claims? Again, we can’t make this stuff up. Justin Trudeau has demonstrated time-and-time again that international interests matter more than what’s best for Canada.